The Government has made a U-turn regarding the aircraft for the RN's new Queen Elizabeth Class carriers. Cameron has abandoned plans to buy the conventional F-35C Joint Strike Fighter after costs soared by £1.8billion. Instead, the Government will revert to the F-35B version which takes off and lands like a Harrier jump jet. The first aircraft carrier, HMS Queen Elizabeth, different parts of which are currently under construction around the country, enters service with the RN in 2016. David Cameron has agreed to an embarrassing U-turn on the future of the Royal Navy’s aircraft carriers. The Prime Minister has decided to reverse a decision on the type of jets due to fly from the two warships. In doing so he has returned to a plan by Labour that he once derided as an ‘error’. Senior Downing Street sources say Mr Cameron has decided to follow military advice and abandon plans to buy the conventional F-35C Joint Strike Fighter after costs soared by £1.8billion. 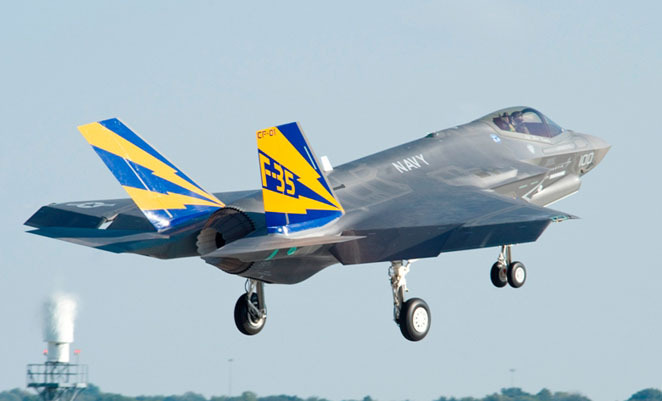 Instead, the Government will revert to the F-35B version which takes off and lands like a Harrier jump jet. This proposal had been controversially axed by the Coalition in 2010. The U-turn will be especially embarrassing because the jump jet was Labour’s choice – one that Mr Cameron overturned. Mr Cameron had resisted calls by Defence Secretary Philip Hammond to abandon the F35C. No 10 officials said the rising cost of the aircraft and the fact that the conventional version is so delayed had forced a change of heart. 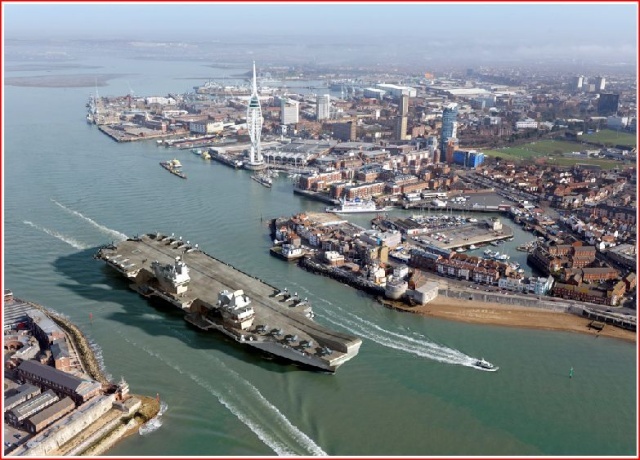 Pressing on with the plan could have delayed the £6.2billion HMS Queen Elizabeth and HMS Prince of Wales by another seven years – until 2027. This was considered ‘untenable, militarily and politically’, said a source. ‘The major problem with the conventional aircraft is that we would be without carrier capability for far too long,’ the Downing Street source said.